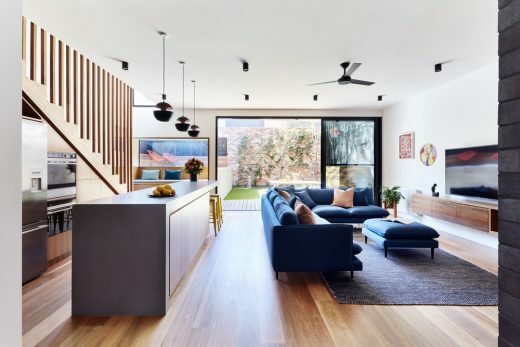 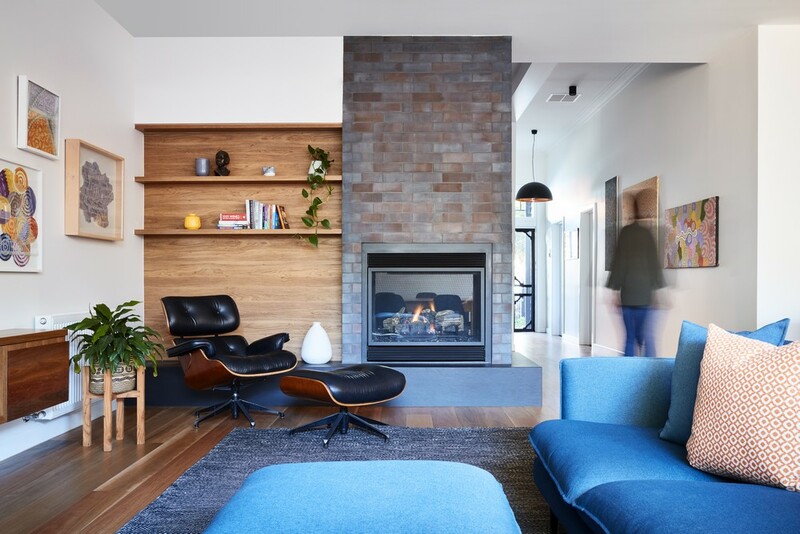 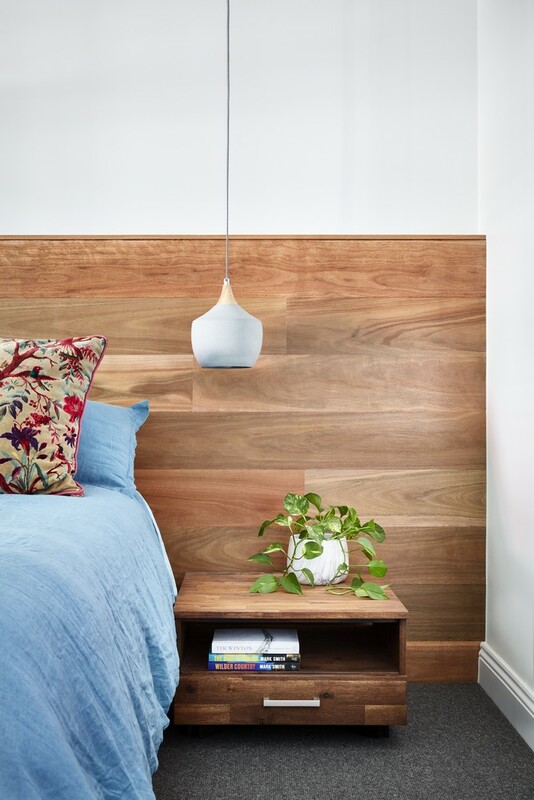 A love of sport and the outdoors drove the open plan living spaces that connect seamlessly to outdoor areas. 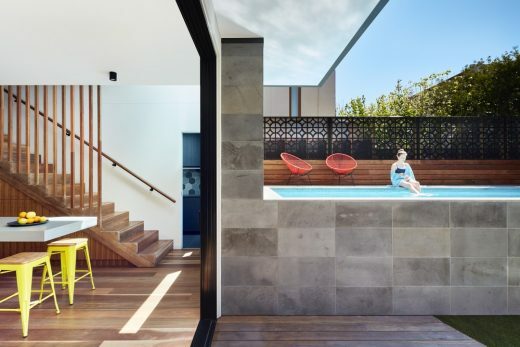 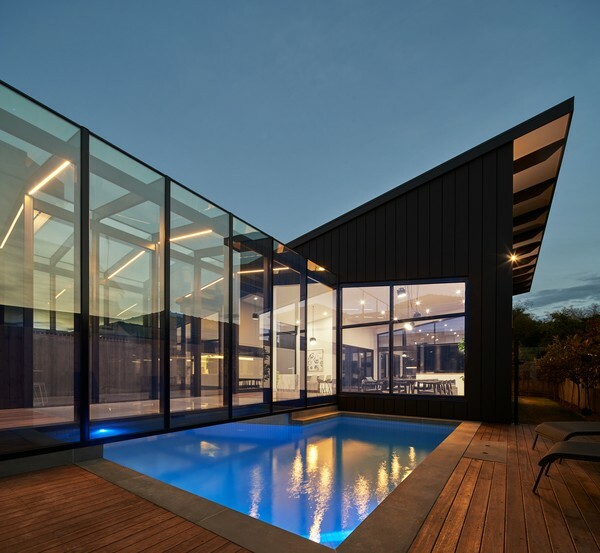 Local bedrock required the pool to sit above ground, and created an opportunity to design out the need for a pool fence thus maximising outdoor space. 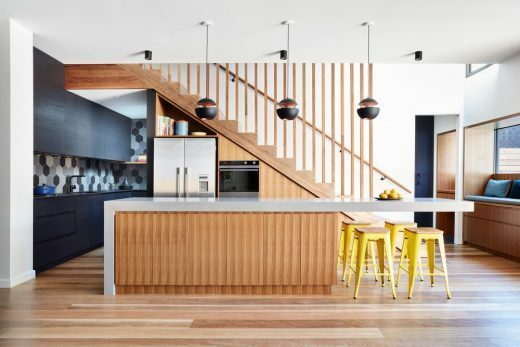 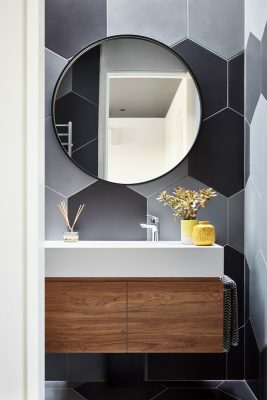 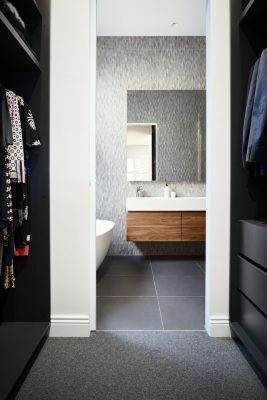 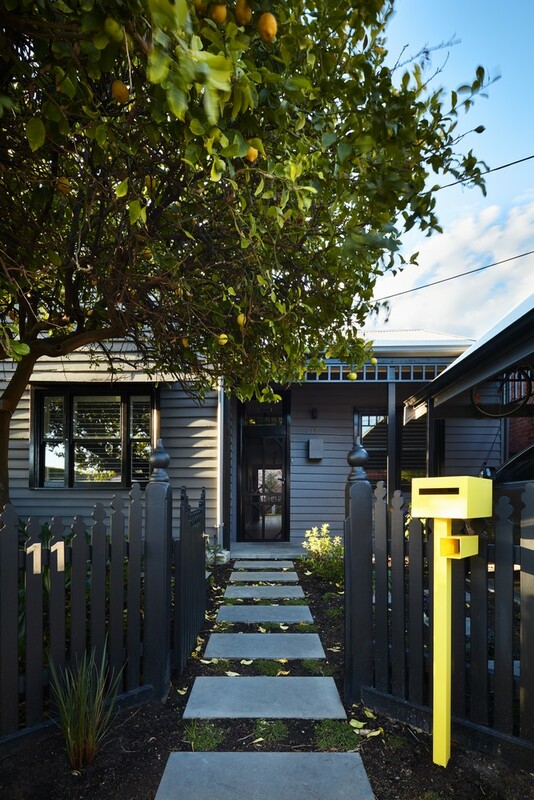 There was a clear direction for bold interiors and use of materials with a punch of yellow amongst the black and grey is a nod to Melbourne’s footy culture, while a large centralised island bench rounds out the owners love of food and entertaining. 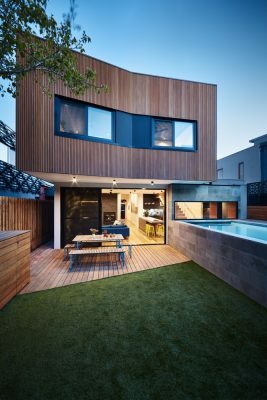 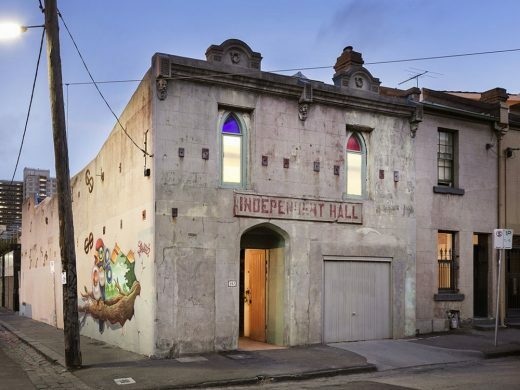 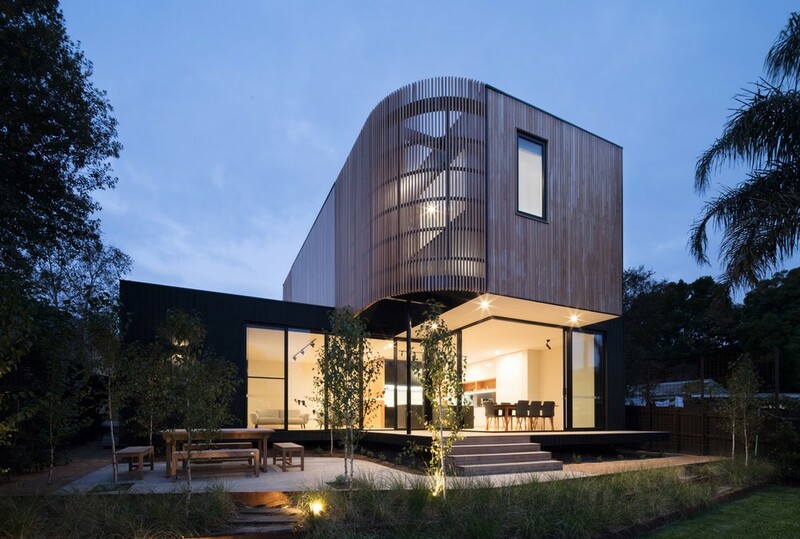 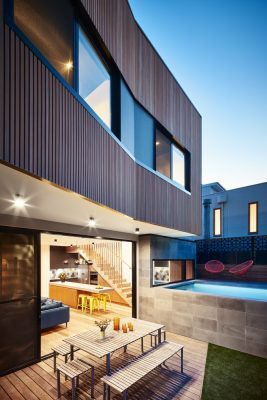 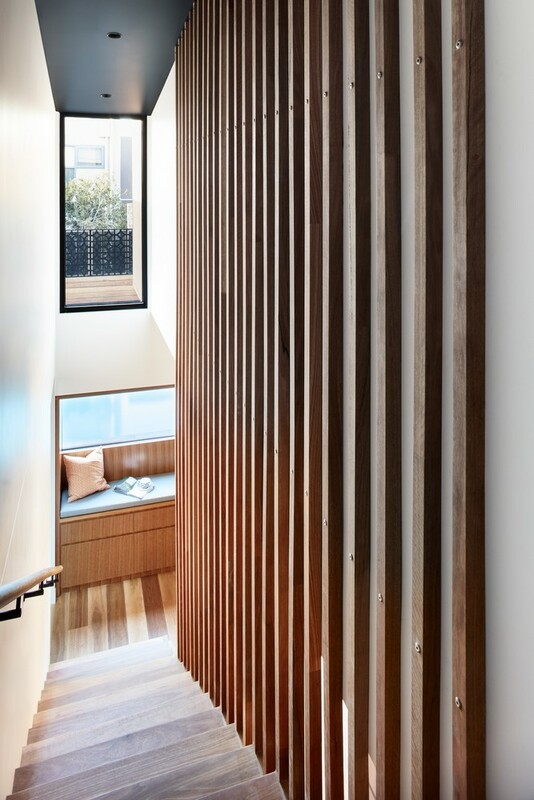 This is a house that fits every aspect of Melbourne life!